Addressing challenges such as updating outmoded international business policies, this resource values external and internal comparisons for achieving a comprehensive assessment of the overall effectiveness of their assignment programs—providing HR practitioners with an understanding of the issues involved. 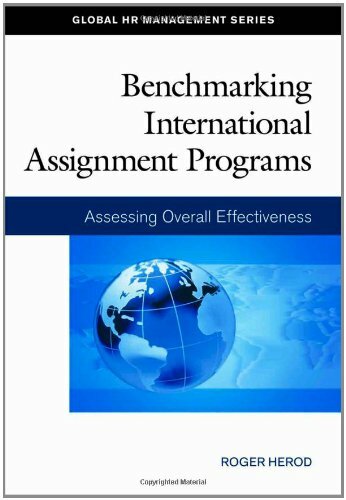 Tackling such challenges as managing employee growth and development internationally, this guidebook recommends benchmarking goals, creating uniform employee policies, and maintaining support services for foreign-office assignees and their families as a means to avoid demoralized satellite offices. Each chapter of this manual studies modern examples of several corporate models and addresses the pressing concerns in each case.